Without this “enmity,” mankind would remain the captive of Satan and become like him. But it is through the bestowal of God's grace (this "enmity") that man can resist his inherited, fallen, human nature and overcome Satan. The seed of the woman, who is Yahushua, bruised Satan's head at Calvary even though Satan bruised the heel of Yahushua. One was a lethal blow and the other only a temporary wound. The drama of how Elohim’s promise and prophecy actually took place, and is still taking place today and into the future, is recorded in Revelation 12 and 13. The conflict has continued with increased intensity since the birth of Yahushua and will climax in the “last days” of this earth’s history before Yahushua returns. “And there appeared a great wonder in heaven; a woman clothed with the sun, and the moon under her feet, and upon her head a crown of twelve stars: and she being with child cried, travailing in birth and pained to be delivered” (Revelation 12:1-2). This is the same woman mentioned in Genesis 3:15. It is the church of Elohim which has existed throughout the centuries and is composed of the faithful followers of Elohim. The great controversy, between Yahushua and Satan, was begun in heaven and continues on planet earth and is portrayed in Revelation 12 and 13 covering the final two thousand years of the conflict. “Who is she that looks forth as the morning, fair as the moon, clear as the sun, and terrible as an army with banners?” (Song of Songs 6:10). The woman, being portrayed for us in Revelation 12:1-2, is the church of Elohim and is pictured here as about to deliver a child. To understand the symbolism found in Revelation 12:1, we go back to Genesis 37:9. “And he [Joseph] dreamed yet another dream, and told it to his brethren, and said, Behold, I dreamed a dream more; and behold, the sun and the moon and the eleven stars made obeisance to me.” In the dream, Joseph tells us there were the sun, the moon and the eleven stars representing his father and mother and eleven brothers. He is the twelfth star we find mentioned in Revelation 12:1. This is the symbolism that Elohim used to denote His church (the woman) that had its beginning back in the days of Jacob and his sons, and is seen at the end of time as the remnant of the woman “which keep the commandments of Elohim, and have the testimony of Yahushua Messiah” (Revelation 12:17), and the woman (or church of Elohim) is included in Elohim’s promise made in Genesis 3:15. “And there appeared another wonder in heaven; and behold a great red dragon, having seven heads and ten horns and seven crowns upon his heads. And his tail drew the third part of the stars, and did cast them to the earth: and the dragon stood before the woman which was ready to be delivered for to devour her child as soon as it was born” (Revelation 12:3-4, emphasis added). Who is this “great red dragon?” “And the great [red] dragon was cast out, that old serpent, called the Devil, and Satan” (Revelation 12:9, emphasis added). The first four verses of Revelation 12 picture Satan ready to devour or destroy the child as soon as the child is born. Who is this child? “And she [the woman] brought forth a man child, who was to rule all nations with a rod of iron” (Revelation 12:5, emphasis added). The child about to be brought forth is Yahushua. In referring to Yahushua we find, “And He shall rule them with a rod of iron” (Revelation 2:27, emphasis added). We read in Psalm 2:9, “Thou shalt break them with a rod of iron; Thou shalt dash them in pieces like a potter’s vessel” (emphasis added). “Yahuwah is my shepherd; I shall not want . . . Thy rod and thy staff they comfort me” (Psalm 23:1-4, emphasis added). Depending on whose side you are on, you can find it either comforting or threatening that someday Elohim and His Son, Yahushua, will be ruling for a time with this “rod of iron.” Again, Satan is pictured as a dragon standing ready to devour or destroy the man child as soon as He is born. Satan stood ready to kill Yahushua as He came to live among us. Satan worked through men to try to accomplish his schemes against the Son of Elohim as pictured by the “seven heads and ten horns” (Revelation 12:3) which we will see throughout the book of Revelation as opposing Elohim’s purposes on earth. But all of Satan’s opposition did not thwart Yahushua’s mission for the salvation of mankind: “And her child was caught up unto Elohim, and to His throne” (Revelation 12:5). The church which Yahushua established also has faced opposition: “And the woman [the church of Elohim] fled into the wilderness, where she hath a place prepared of Elohim, that they should feed her there a thousand two hundred and three score days” (Revelation 12:6) or 1260 years in prophetic time. Elohim’s church did not inhabit the city of Rome, but it “fled into the wilderness” to escape the persecution that was unleashed upon her from the church of Rome. The twelve hundred and sixty years is the same time period as was seen in Daniel 7:25 in which the papacy would be persecuting (wearing “out the saints of the most High”) Elohim’s true children of the woman. As we discovered in our study of Daniel 7, that time was from AD 538 until AD 1798. The true church of Elohim found its safety in the mountains and the remote and hidden places of the earth during the twelve hundred and sixty years of papal supremacy. But this battle originated in heaven of all places! “And there was war in heaven: Michael [Yahushua] and His angels fought against the dragon; and the dragon fought and his angels, and he prevailed not; neither was their place found any more in heaven. And the dragon was cast out, that old serpent, called the Devil, and Satan, which deceives the whole world: he was cast out into the earth, and his angels were cast out with him” (Revelation 12:7-9, emphasis added). While the movie Star Wars portrays a fictional battle between the forces of good and evil, this battle pictured in Revelation 12 is real and the outcome has already been determined, and we are in the middle of it. The only matter to be decided is whose side will we be on? The majority will end up on the wrong side. There is no neutral ground. You are either with Yahushua or you are on the Devil’s side (Matthew 12:30). Satan was not cast out into a place called hell; “He was cast out into the earth,” and the conflict which he began in heaven has continued for the past six thousand years on this earth, and it is soon to be concluded during our lifetime – earth’s last generation. When Elohim first created this earth, He said it “was very good” (Genesis 1:31). But since the fall of man through the deceptions of Satan, the earth along with mankind has been suffering under the consequences of that fall. Elohim will say someday, “Behold, I make all things new” (Revelation 21:5). Elohim is going to give this world an “extreme makeover.” Yahuwah wants us to be aware that our adversary, the Devil, is “going to and fro on the earth and walking up and down on it” (Job 1:7) “seeking whom he may devour” (1 Peter 5:8). If the Son of Elohim was attacked by the Devil, do you suppose he is after us also? If Elohim interposed in behalf of His Son, shall He not do the same for us? He has promised, “He shall give His angels charge over thee, to keep thee in all thy ways. They shall bear thee up in their hands lest thou dash thy foot against a stone” (Psalm 91:11-12). That promise is given to us on the condition that we are “dwelling in the secret place of the most High shall abide under the shadow of the Almighty” (Psalm 91:1). He does not give us a promise without there being a good reason. And if we are presumptuous, as the Devil tempted Yahushua to be when he told Him to cast Himself down from the temple, we cannot be assured of Elohim’s protection. The Devil, Satan, cannot force us to be presumptuous, but he can and will tempt us to be presumptuous in order to cause us to fall. “For we wrestle not against flesh and blood, but against principalities, against powers, against the rulers of the darkness of this world, against spiritual wickedness in high places” (Ephesians 6:12). In addition to the physical forces of evil that we see active in this world, the invisible forces of Satan and his fallen angels are always working at odds against Elohim’s people and His purposes. We are told that Satan is the god of this world (2 Corinthians 4:4). “And I heard a loud voice saying in heaven, Now is come salvation, and strength, and the kingdom of our Elohim, and the power of His Messiah: for the accuser of our brethren is cast down, which accused them before Elohim day and night. And they overcame him [Satan] by the blood of the Lamb, and by the word of their testimony, and they loved not their lives unto death. Therefore rejoice, ye heavens, and ye that dwell in them” (Revelation 12:10-12, emphasis added). We do not have to live in defeat. “The law of the Spirit of life in Messiah Yahushua hath made me free from the law of sin and death” (Romans 8:2). The Spirit of Elohim sets us free from the inherited, fallen, human nature that we have because of the fall of Adam. Many only care to be saved from the troubles of life, which in many cases they have brought upon themselves, but it is the inherited, fallen, human nature that we need to be delivered from in order to be prepared to spend eternity in the presence of Yahuwah, our Creator. It does not matter whether we live or are put to death, as long as we are faithful and loyal to our Creator our salvation is assured. “These things I have written unto you that believe on the name of the Son of Elohim [Yahushua – the actual name of Jesus that was not transliterated from Hebrew]; that you may know that you have eternal life, and you may believe on the name of the Son of Elohim” (1 John 5:13). “The accuser of our brethren,” Satan, was not cast down, until he revealed his true character before the Universe in his treatment of Yahushua. Prior to that time he had brought a multitude of accusations against humanity and Yahushua, but the cross is an argument that silences all of Satan’s accusations against Yahuwah Elohim, and Yahushua and Their followers. Zechariah 3:1-7 describes the scene. “And he showed me Joshua the high priest before the angel of Yahuwah, and Satan at his right hand to resist him. And Yahuwah said unto Satan, Yahuwah rebuke thee, O Satan; even Yahuwah that hath chosen Jerusalem rebuke thee: is not this a brand plucked out of the fire? Now Joshua was clothed with filthy garments, and stood before the angel. And he answered and spoke unto those that stood before him saying, Take away the filthy garments from him. And unto him he said, Behold, I have caused thine iniquity to pass from thee, and I will clothe thee with a change of raiment. And I said, Let them set a fair mitre upon his head. So they set a fair mitre upon his head, and clothed him with garments. And the angel of Yahuwah stood by. And the angel of Yahuwah protested unto Joshua, saying, thus saith Yahuwah of hosts; If thou wilt walk in My ways, and if thou wilt keep my charge, then thou shalt also judge my house, and shalt also keep my courts, and I will give thee places to walk among these that stand by” (emphasis added). Satan has and still does resist Yahuwah and the plan of salvation, but Yahushua when He was crucified, brought an argument which cannot be controverted by Satan. His sacrifice answered every accusation that Satan could possibly bring against Yahuwah Elohim, Yahushua and Their followers. Even though Satan and his sympathizers had been physically cast out of heaven 4,000 years earlier, there may have remained a few sympathetic feelings among the angelic beings connected to Satan. “Now is the judgment of this world: now shall the prince of this world [Satan] be cast out” (John 12:31). It was not until the crucifixion of Yahushua that Satan was “cast out” of the hearts of every intelligent being in the Universe. As I mentioned earlier, the Rolling Stones have a song entitled “Sympathy for the Devil.” There are many of earth’s inhabitants who sympathize with Satan because they have been deceived by his lies. There are many things that baffle us that go on this world, and we wonder why? Some things that happen just do not make sense to us. So thoroughly have many of the inhabitants of this planet been deceived that there can be no logical explanation given (Revelation 12:9). Yahushua told the Pharisees, “Ye are of your father the devil, and the lusts of your father you will do. He was a murderer from the beginning, and abode not in the truth, because there is no truth in him. When he speaks a lie, he speaks of his own: for he is a liar, and the father of it” (John 8:44). Even though Satan murdered no one in the beginning of his rebellion against Elohim, the seed of murder existed in his fallen nature waiting only for the opportunity to be manifested. Those who live a life filled with lies are of their father, the Devil also. Satan stood fully exposed as to what he had become to the heavenly Universe when he had Yahushua crucified, and today there remains no sympathy for him with the angelic host and the inhabitants of the other worlds. The seeds of rebellion which began in heaven have been developing in his character and in the lives of his followers, and in the time of the end they will come to full maturity and will expose what in heaven six thousand years ago was not fully apparent at that time and needed time to develop. An oak tree starts as a seed, but when it is fully grown we see it for what it truly is. So it is with Satan. Only Elohim knew what Satan would become when he first rebelled against His authority. It has taken these 6,000 years for Satan to be fully exposed for what his rebellion would lead to. Look around and you will see this world is in chaos all due to his rebellion. But how is it with you and me? Do we have any sympathy for the Devil? It is written that the “truth will set you free” (John 8:32). When we discover the truth about Elohim, Satan, and the conflict going on in this world over the last six thousand years, Satan will be uprooted from our hearts also and “cast down.” We are that “brand plucked out of the fire” mentioned in Zechariah 3:2, but Satan would have us join him in the “lake of fire” to be destroyed forever. Ever since Satan was cast out of heaven he has pursued, persecuted and killed the offspring of “the woman,” the true church of Elohim, through his human agents. Abel was the first martyr for his faith in Messiah. The early followers of Messiah were hunted like wild prey. The persecution of the early followers of Messiah raged for centuries until most compromised with paganism, accepted worldly honor and temporal prosperity or composed the few which fled into the wilderness to escape persecution. “He [Satan] knows that he hath but a short time” (Revelation 12:12). The shed blood of Yahushua assures us that Satan’s end has been made certain. The reason that Satan has continued his existence since the cross will be made manifest during the last days. Evil will be permitted to come to full maturity at the time of the end. Satan will be seen for what he has fully become. Before he is destroyed forever, he will be given an opportunity to fully display his character he has masked for six thousand years. The wheat will grow up with the tares. Both the righteous and the wicked will be fully ripe at the time of the harvest. None need be deceived as to what Satan has become, and in his final destruction, all the Universe will be in agreement. If Satan had been destroyed when he first began his rebellion in heaven, there would have been doubt in many minds as to what he was guilty of because the intelligent beings in the Universe would not have fore seen the results of what he had begun and to where it would lead. Satan has clothed himself with lies and deceptions. But not so in the end! Every tongue, even of those who will be destroyed, will confess that Yahuwah is just and right in all of His ways. “Just and true are Thy ways, Thou King of saints” (Revelation 15:3). “Howbeit Thou art just in all that is brought upon us; for Thou hast done right, but we have done wickedly” (Nehemiah 9:33). “And the dragon [Satan]) was wroth with the woman [the true church of Elohim], and went to make war with the remnant of her seed, which keep the commandments of Elohim, and have the testimony of Yahushua Messiah” (Revelation 12:17, emphasis added). “Remnant of her seed” means the last remaining part of the true church of Elohim. They are identified as keeping “the commandments of Elohim” as Elohim had originally given them; not as they were changed by the papal power as foretold in Daniel 7:25. They will be keeping the Lunar-solar Sabbath as was established at Creation (Genesis 1:14, Psalm 104:19, Leviticus 23:3) and the Ten Commandments as listed in Exodus 20:1-17, and not as they were changed by the papacy. “And to the woman were given two wings of a great eagle, that she might fly into the wilderness, into her place, where she is nourished for a time, and times, and a half a time [same time period as was described in Daniel 7:25], from the face of the serpent. And the serpent cast out of his mouth water as a flood after the woman, that he might cause her to be carried away of the flood. 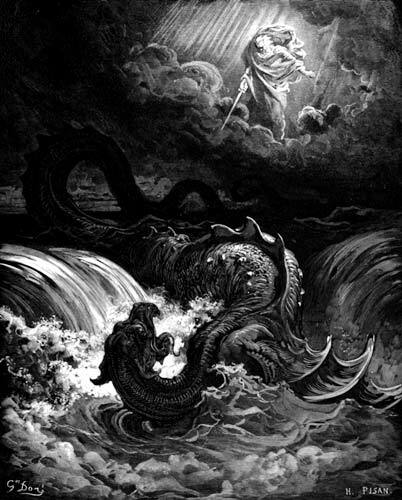 And the earth helped the woman, and the earth opened her mouth, and swallowed up the flood which the dragon cast out of his mouth” (Revelation 12:14-16). Toward the end of the twelve hundred and sixty years of persecution of the true church of Elohim, “the earth helped the woman, and the earth opened her mouth, and swallowed up the flood which the dragon cast out of his mouth” (Revelation 12:16). As the 1260 years of persecution was nearing its end, the church of Elohim was encountering opposition and persecution from various sources other than the papacy but also including the papacy. The Church of England, which had separated itself from papal control but was controlled by the same spirit, began persecuting those who refused to conform to their creed; those who sought to maintain their freedom of conscience in their worship of Elohim were forced to flee. The New World, which was to become America, opened its doors to them and to others who sought freedom to worship Elohim according to the dictates of their conscience. America was initially settled by those seeking freedom to worship Elohim according to what they understood from the Word of Elohim, and to this day, that right is still guaranteed as part of that heritage. Will that right continue? We see those rights that were guaranteed by the Founding Fathers in the Constitution of the United States and in the Bill of Rights eroding today. What is “the testimony of Yahushua Messiah” mentioned in Revelation 12:17? We find in Revelation 19:10 the definition: “And I fell at his feet to worship him. And he said unto me, See thou do it not: for I am thy fellowservant, and of thy brethren that have the testimony of Yahushua: worship Elohim: for the testimony of Yahushua is the spirit of prophecy” (emphasis added). “The testimony of Yahushua is the spirit of prophecy.” Revelation 1:9 tells us, “I John, who also am your brother, and companion in tribulation, and in the kingdom and patience of Yahushua Messiah, was in the isle that is called Patmos, for the word of Elohim, and for the testimony of Yahushua Messiah” (Revelation 1:9, emphasis added). John was persecuted for the same reason the remnant will be persecuted: for having the spirit of prophecy in addition to the “word of Elohim.” This gift is not confined to one individual or one period of earth’s history; it is possessed by those to whom it is given by Elohim. “For to one is given by the Spirit the word of wisdom; to another the word of knowledge by the same Spirit; to another faith by the same Spirit; to another the gifts of healing by the same Spirit; to another the working of miracles; to another prophecy; to another discerning of spirits; to another divers kinds of tongues; to another the interpretation of tongues: but all these work that one and the selfsame Spirit, dividing to every man severally as He will” (1 Corinthians 12:8-11, emphasis added). There are many instances in the Old Testament where the gift of prophecy was bestowed upon humanity. See Numbers 11:25, 26; 1 Samuel 10:10, 11 are just two of the instances mentioned in the Old Testament. It is Yahuwah Who decides who gets which gifts and may give multiple gifts to some. We have the parable of the talents; one was given five and another two and another one (Matthew 25:14-30). The controversy between Yahushua and Satan that began in heaven continues on this earth. Satan has used men in this battle to accomplish his purposes, even daring to attempt to kill Yahushua when He was an infant. But Elohim has countered every attempt that Satan has made to hinder the plan of salvation; from when Satan attempted to kill Yahushua as an infant when He came into this world; to Satan’s attempts to destroy the church Yahushua raised up. Elohim has always spoiled Satan’s plans and will continue to do so to the end! Revelation 13 continues this scenario begun in Revelation 12 into the last days that we are about to enter. 1. Who does the woman pictured in Revelation chapter 12 represent? 2. Who is the child born of the woman? 4. How long was the woman persecuted? 5. Where did many of Elohim’s people find refuge from the persecution?